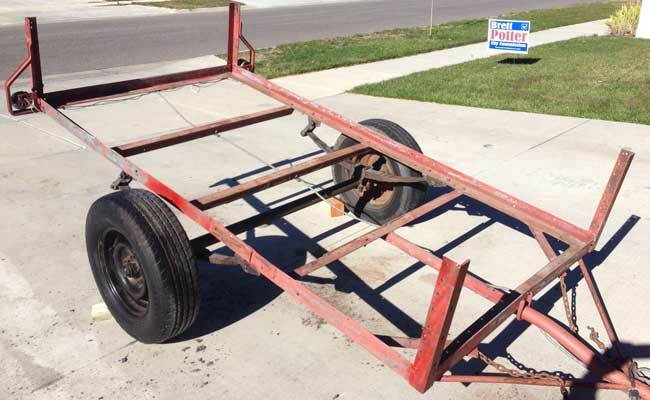 I love fixing up old trailers and when I came across this “FREE” 4×8 Utility trailer on Craigslist I had to grab it! Within 5 minutes of it being listed I was on my way to pick it up. Lucky me, I beat someone else to it by about 20 minutes. The man was super nice, gave me the title, and helped me load it up. Here are before and after shots. 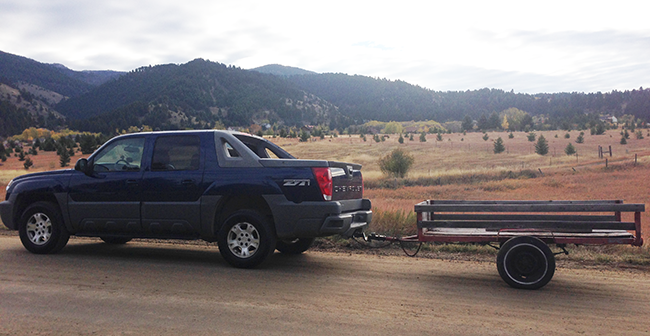 I got the trailer home and pushed it in my garage. Time to get to work! 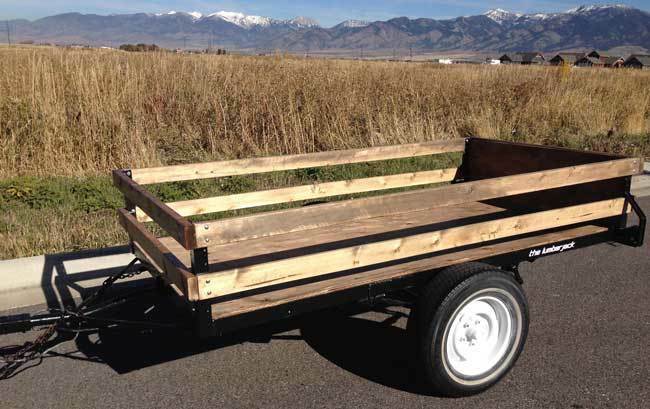 The majority of the wood was connected to the trailer with old rusty bolts. 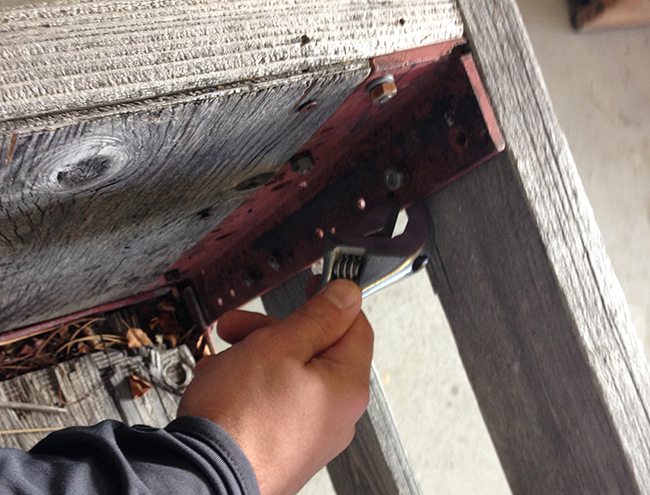 I used a socket wrench and crescent wrench for this step. 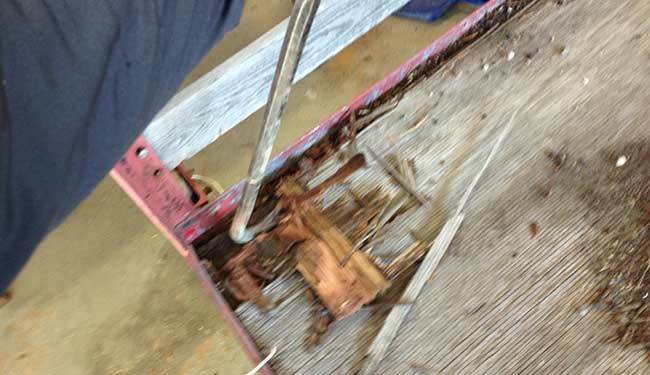 You can see in the photo below that the old plywood needed to be replaced. It was attached with bolts and screws. I ended up using a pry bar to remove the wood. All of the plywood was successfully removed. What a mess! 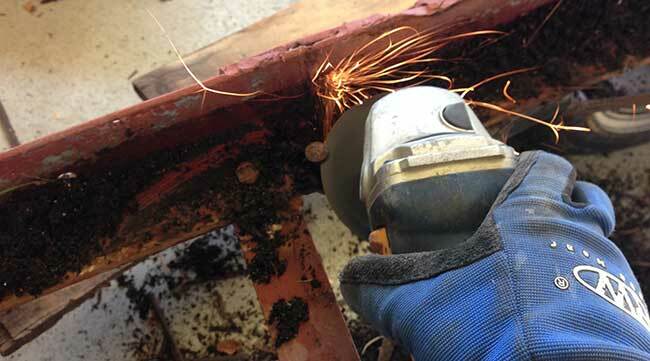 Remove any rusted bolts and stuck screws using an angle grinder with a metal cutoff blade. 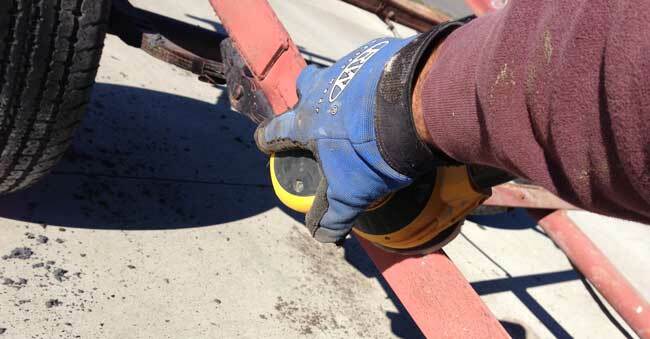 Be very careful and make sure to wear safety protection. 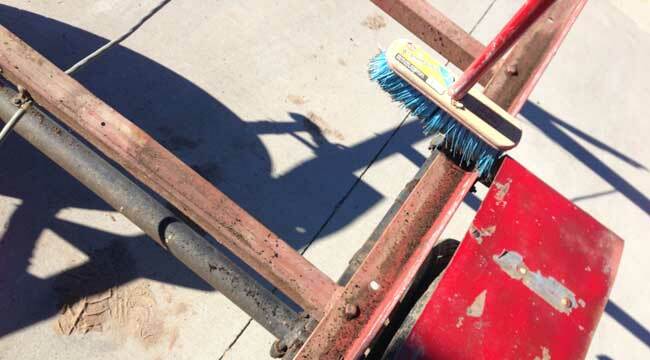 Sweep and scrape all the dirt and gunk out of the trailer frame. 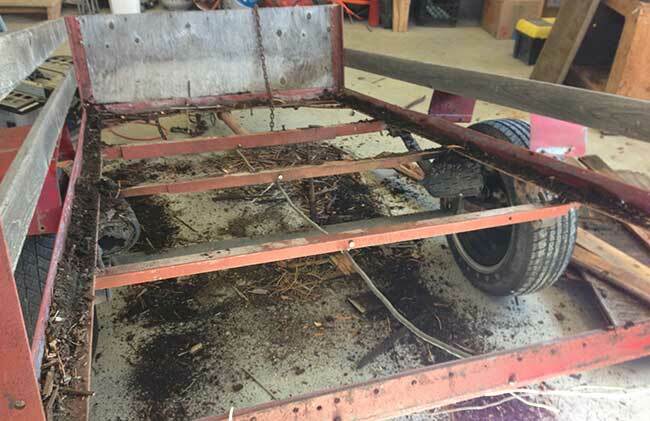 Sand the trailer frame using an orbital sander to remove flaking paint and rust. I used 120 grit sandpaper. 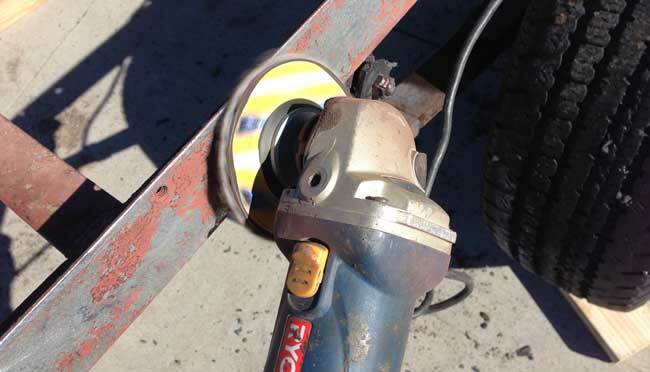 If there are areas you'd like to be more aggressive with I'd recommend using a flap disk on an angle grinder. 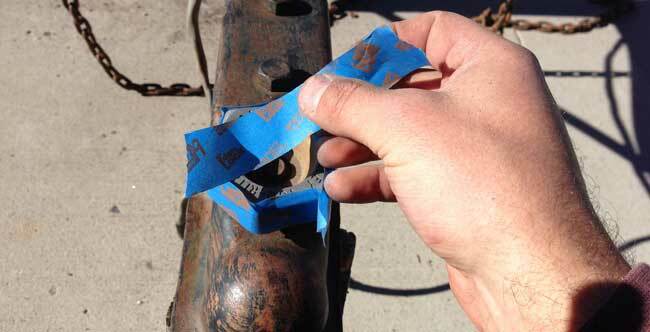 It will smooth out welds and remove paint quickly. 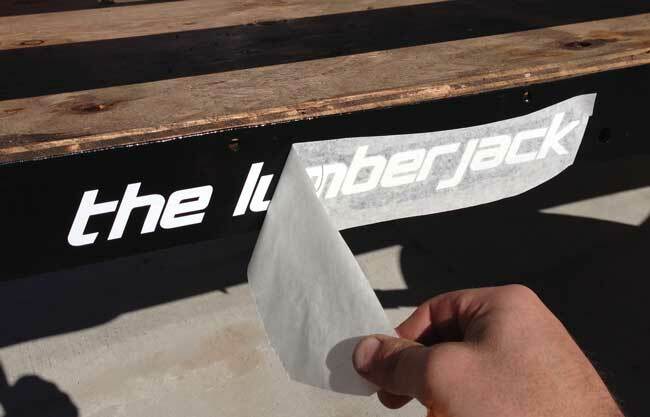 Once the frame has been sanded, remove lights if needed and tape off areas you don't want painted. Use a screwdriver to remove the lights. 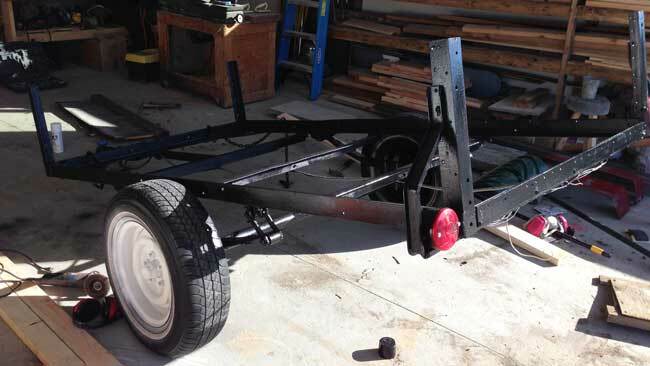 For information about re-wiring please check out my 5×10 trailer restore project. 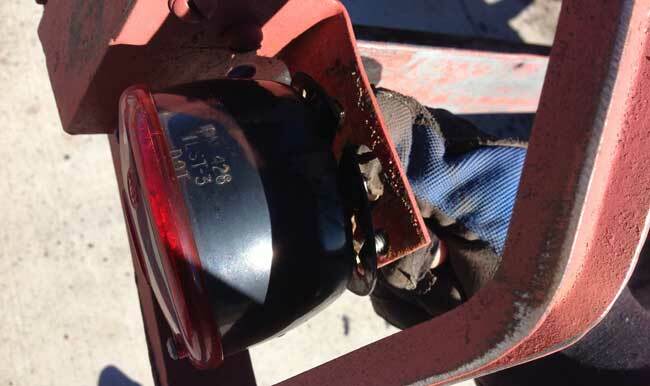 Replacement lights and wiring kits can be found on Amazon. 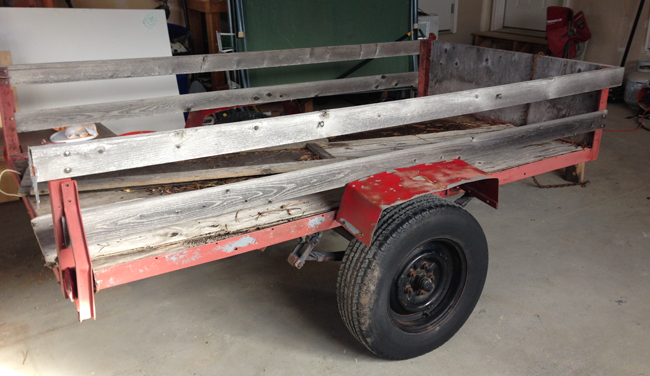 The trailer is now prepped for painting. 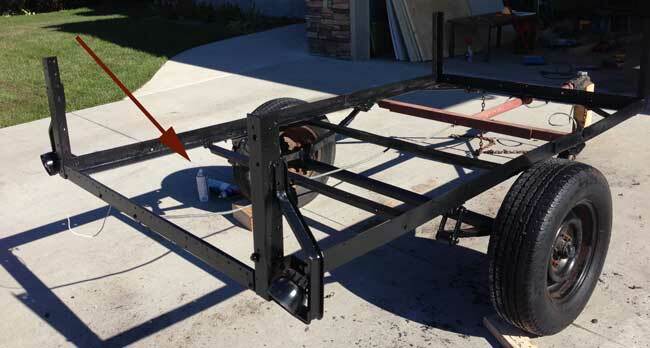 Use enamel spray paint to make your trailer look like new. I used gloss black spray paint made by Rustoleum. I typically paint all metal surfaces, even underneath. I decided to paint the rims on for this project as well. Since it is a just a trailer, I simply spray painted the rims with white. To protect the wheels from overspray you can tape them off. One thing I like to do is spray the tires with “TireWet” to shine up the tires and make them look like new. 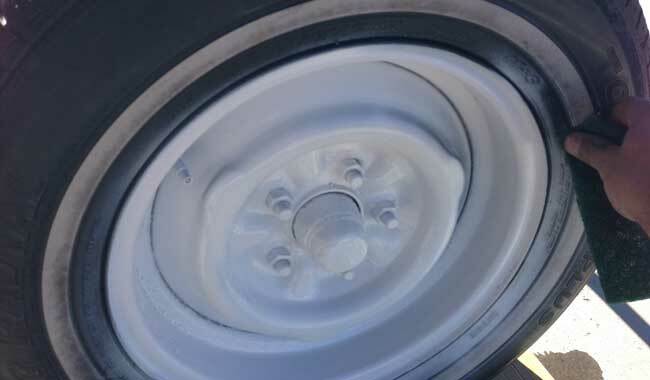 Paint the rims using gloss white enamel. You could take the tire completely off, but I simply taped the wheels and got to spraying. Don't worry if you overspray the tires. 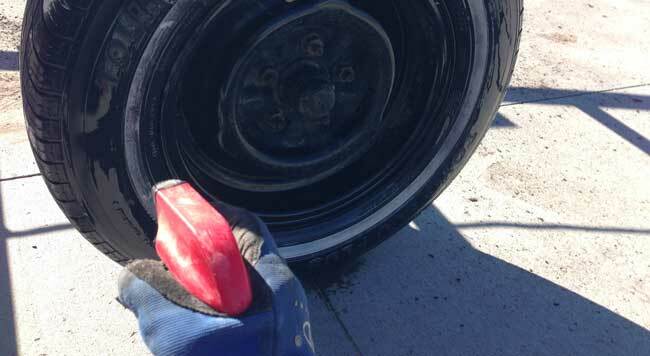 Simply use a scotch pad to remove the unwanted paint from the tire. 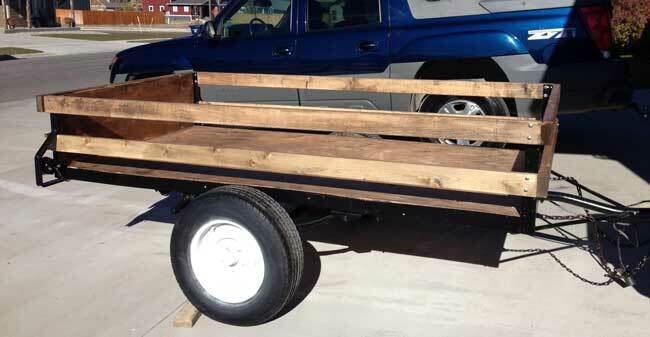 This is what the trailer looked like after completing all of the painting. 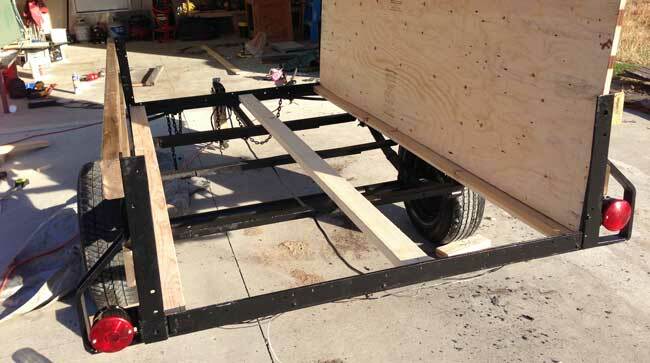 I attached new support stretchers for the 4×8 sheet of plywood. I attached the side boards using 2 1/4 inch bolts. 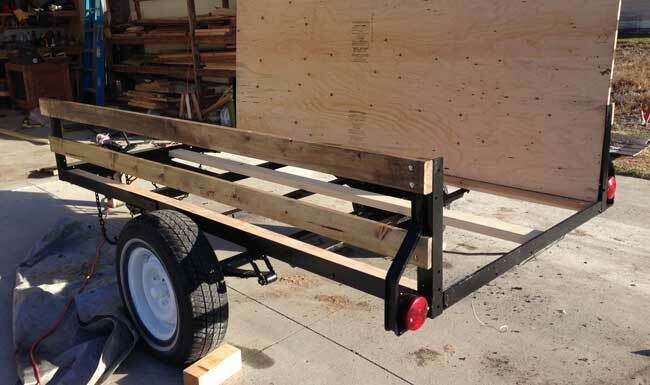 Attach the plywood to your supports and attach boards to the front and back of the trailer as needed. 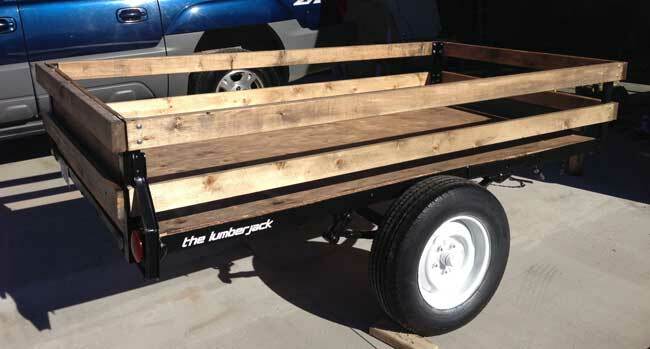 I decided this trailer is going to be great for hauling firewood and named it “the LumberJack.” If you'd like custom decals for your project, simply head over my sign store and contact me for a quote. A look at the finished product! What a difference! This project took me about 8 hours to complete from start to finish.